Key cabinet is steel construction. Color is Charcoal Gray with Black trim. 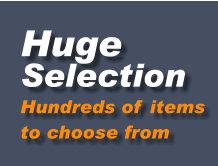 Features high impact black plastic end caps and a scratch-resistant finish. The cabinet comes complete with colored plastic key tags and 2 locks. 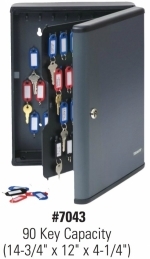 This 90-key cabinet has an additional hinged, high-impact plastic key panel Packaged one key cabinet per box. In stock for quick shipment.